What's an Asthma Management Plan? What should be in an asthma management plan? The correct answer is all of the above. An asthma management plan –also called an asthma action plan – is a written document that helps you control your asthma over the long term and in emergencies. You and your doctor can work together to create your own personal plan. Everyone with asthma, including children, should have an asthma action plan. The correct answer is true. Asthma action plans are an important tool to help people of all ages manage asthma. The correct answers are A, B, C and D. Your child's teachers, coaches, the school nurse and the school office staff are all key members of your support team. Work with them so they can help your child manage asthma symptoms. The correct answer is doing well. The green zone is your happy place when it comes to asthma. You're not coughing or wheezing, and you can do your regular activities. Your long-term control medicines are managing your asthma. The correct answer is the yellow zone. Yellow-zone symptoms include coughing, wheezing, chest tightness and shortness of breath. Your asthma action plan tells you which quick-relief medicine to take and how much – and what to do if you don't go back to the green zone. Which of these is a sign you're in the red zone? A. Your quick-relief medicines aren't helping. B. You have severe shortness of breath. C. After 24 hours in the yellow zone, your symptoms are the same or worse. The correct answer is all of the above. Get help right away if you are in the red zone of your asthma action plan. Take the medicines in your plan and call your doctor. Call 911 if you are still in the red zone after 15 minutes and you can't reach your doctor. A big part of managing asthma is staying away from your asthma triggers. The correct answer is true. Things that make asthma worse are called triggers. 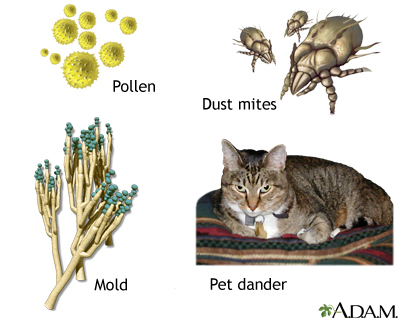 Common triggers are dust, mold, pollen, and smoke. You will need to learn how to avoid your asthma triggers. Write down your triggers and talk with your doctor if you need more ideas for coping. The correct answer is tell your doctor right away. 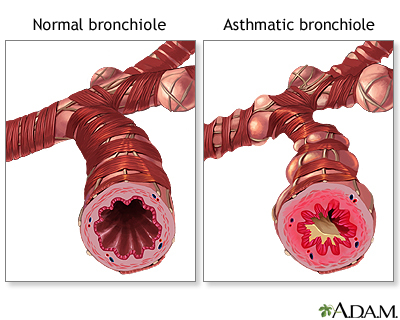 Asthma can be managed, but it can change over time. Your doctor may need to adjust your asthma action plan. 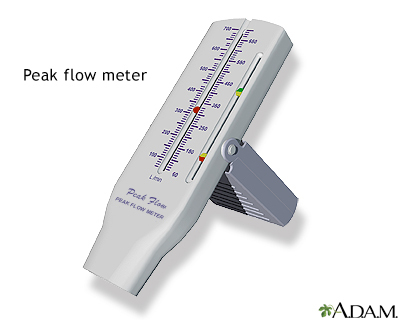 Tracking your symptoms and using a peak flow meter can help you and your doctor address problems early. To control your asthma, you can't be physically active. The correct answer is false. Exercise can trigger asthma in some people, but that doesn't mean you should give it up. Everyone needs physical activity for good health. Talk with your doctor about how you can stay active while managing your asthma. The correct answer is having regular asthma checkups. There is no cure for asthma. But working with your doctor can help you avoid problems, take good care of yourself, and live a full and active life. 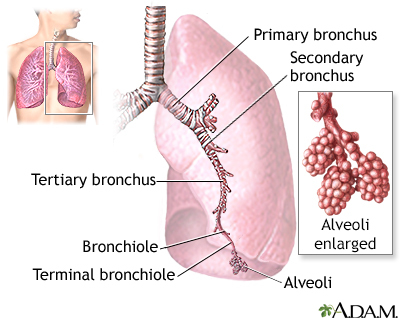 During an asthma attack smooth muscles located in the bronchioles of the lung constrict and decrease the flow of air in the airways. The amount of air flow can further be decreased by inflammation or excess mucus secretion.